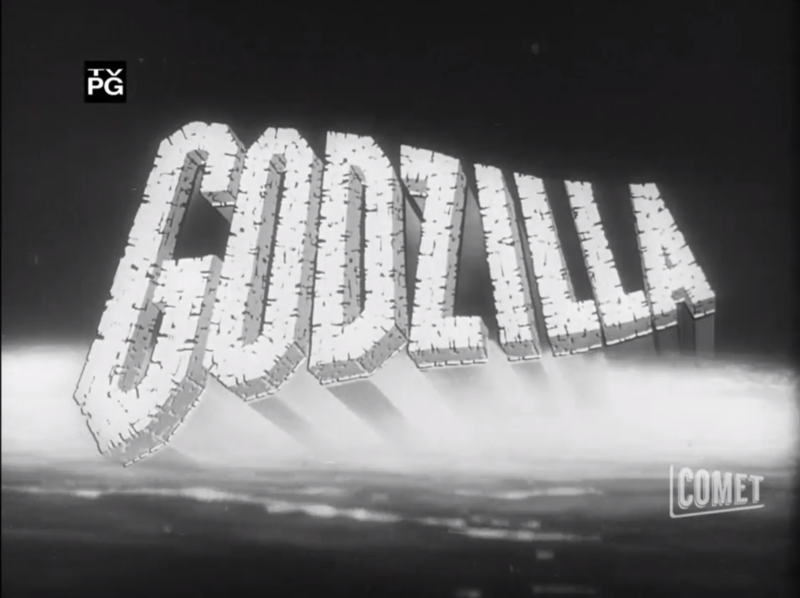 Looks like Labor Day Monday September 4th Comet TV will be playing Godzilla films all day starting at 10AM. They are starting with Godzilla Vs King Ghidorah and playing them pretty much in order of release until Godzilla Against Mechagodzilla which ends at 3:30AM on September 5th. Also it is looking like they will be playing Godzilla movies all month during their Cult Classic Theater Double Feature on Saturdays starting at 2PM and ending at 6PM. Have to give Comet TV plenty of credit. Not only are they showing the the Godzilla films unedited for time. For the last week of September they modified their schedule to put Godzilla films on their normal 4pm and 6pm double feature slot Monday through Friday 9/25-9/29 showing Johnny Sokko at 3pm so the Godzilla film can start at 3:30. Then they finish up on Saturday 9/30 with Godzilla Tokyo SOS and Godzilla Finals Wars. Just wish that TV broadcasters could ahold of the Jun Fukuda films, and Godzilla Vs Hedorah aka Smog Monster cut. Last edited by szmigiel on Mon Aug 28, 2017 8:06 am, edited 1 time in total. Not Toho, but El Rey Network showed King Kong 1976 earlier today. According to El Rey's website schedule, it will re-air at 4PM EST on Thursday the 26th, 3AM EST on Friday the 27th. Gormaru Island claims that the Starz family of networks is bringing in hordes of Godzilla goodness, including the Classic Media lineup as well as Godzilla vs. Mechagodzilla and Son of Godzilla. Trying to find more as they uncharacteristically didn't cite a source. Gormaru Island wrote: STARZ Rampages With Classic TOHO Godzilla Films This November - From "Godzilla vs. MechaGodzilla"(1974) and "Son of Godzilla"(1967), to "Destroy All Monsters" and many more. Earlier at the tails end of September, Godzilla was confirmed to storm HULU during October with majority of films being Heisei and Millennium series installments. A big change given that previous outings with the service carried only Showa-Era films. But those showa titles are now all gone from Hulu, but have reappeared on STARZ, along with some additional company. Along with the "Classic Media" Godzilla titles(Including Rodan and WOTG), for November, STARZ is also broadcasting Showa-Era classics: Son of Godzilla, Destroy All Monsters, Godzilla vs. Megalon, and Godzilla vs. MechaGodzilla. While also still broadcasting a selection of Heisei Era and Millennium Era movies under its service. So if you have STARZ then you're in luck for some kaiju goodness this month, which is quite fitting given that Godzilla's birthday is this month as well! (It's this week in fact, November 3rd!). If you don't have STARZ then you can try a few free trials on any supported devices and platforms that they work under. El Rey is doing the Xmas marathon again this year, nothing really new on the schedule. Starts 6AM on the 25th and goes to 6AM on the 29th when it ends. On Saturday May 12th Comet will play "Warning from Space" at 4pm right after "Monster from a Prehistoric Planet"
It will also replay on Thursday May 17th at 10am and maybe a few more times during the month of May. Then starting May 27th is the Summer of Monsters, looks like plenty of Godzilla, and lets hope plenty of Toho sci-fi as well. Last edited by szmigiel on Sun Mar 25, 2018 10:01 am, edited 1 time in total. Interestingly enough on Sunday June 24th TitanTV is reporting Godzilla Vs Mechagodzilla, the 1974 Showa version. It could be a mistake and they are just showing Godzilla Vs Mechagodzilla II and someone put in the wrong title and description. Or it is the 1st time it has been available outside of Stars. Not even El-Rey has shown the Showa version yet. Speaking of El-Rey 4th of July is coming soon, hopefully they still doing their annual Godzilla Marathon. szmigiel wrote: Or it is the 1st time it has been available outside of Stars. Not even El-Rey has shown the Showa version yet. Chiller actually broadcasted it a few years ago, but it was advertised as Godzilla X Mechagodzilla. That is odd. El Rey has been pretty good at getting the broadcast rights to as many of the Toho Godzilla films as they could, but even they haven't shown Godzilla Vs Mechagodzilla yet. Leaving only only a few without broadcast rights in the US remaining. Last edited by szmigiel on Mon Jun 11, 2018 9:22 am, edited 1 time in total. El Rey bores me, as they just show the same movies over and over. Comet also way over teasted their “Monster Summer”. It’s one night a week with two movies, and only one is usually Godzilla. The other movie is usually questionable. 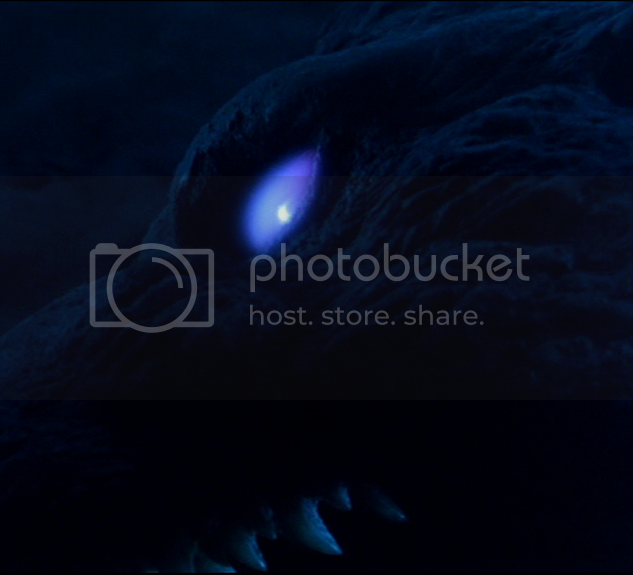 ...an alternate title card for KoTM. Those familiar with such minutiae will recognize this as the title card of Kaiju O Gojira. Or it is the 1st time it has been available outside of Stars. Monster Zero and ToMG were both the versions Criterion has on Starz, so this may in fact be the 1974 film. Yes it is the 1974 version and the following week is Destroy All Monsters another Godzilla movie absent from TV for far to long. In another nice surprise the July 8th movie on Comet will be Son of Godzilla. Last edited by szmigiel on Thu Jun 21, 2018 4:10 am, edited 1 time in total. We have a thread for TV airings already. Hard to beat Mountain Dew and watching Kaiju action. So pissed, Univsion and SlingTV pick now to have a fight over pricing and EL-Rey is now blacked out on my SlingTV so I can't watch the "The Kaijuly Roarth Marathon" at all. I love just having it on the TV as I do stuff around the house while it is on. szmigiel wrote: So pissed, Univsion and SlingTV pick now to have a fight over pricing and EL-Rey is now blacked out on my SlingTV so I can't watch the "The Kaijuly Roarth Marathon" at all. I love just having it on the TV as I do stuff around the house while it is on. They're not doing it this year anyway. According to the monthly schedule for Turner Classic Movies, Gojira and Godzilla, King of the Monsters will be shown back to back on the 23rd. They start at 6am and 7:45am respectively, so set your DVR's if you have them.